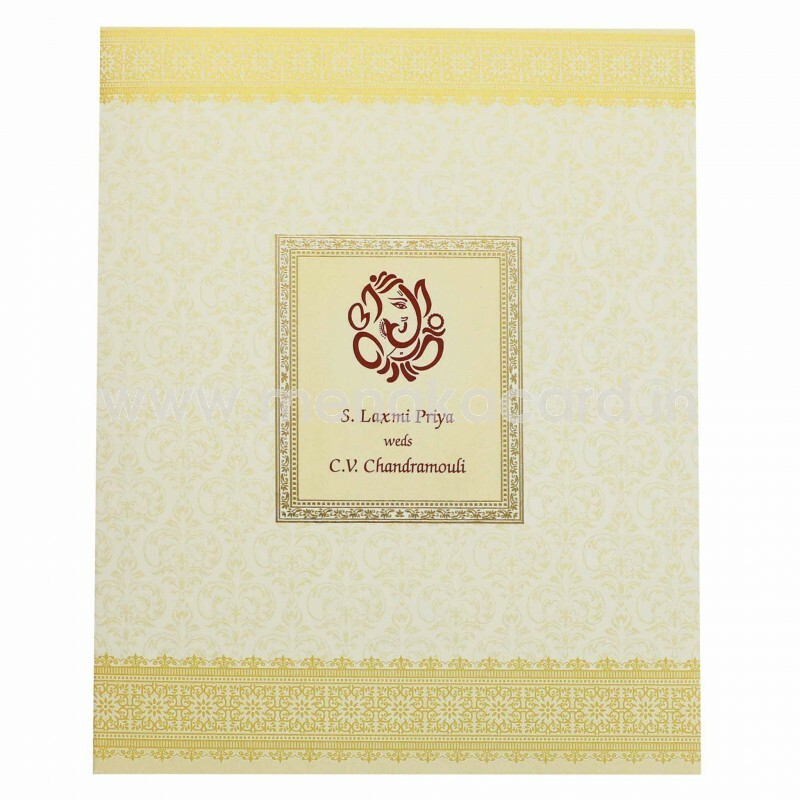 This Luminous off-white and gold card is made from an off-white shimmer board and has a traditional gold ink zari border printed around the top and bottom edges of the card. 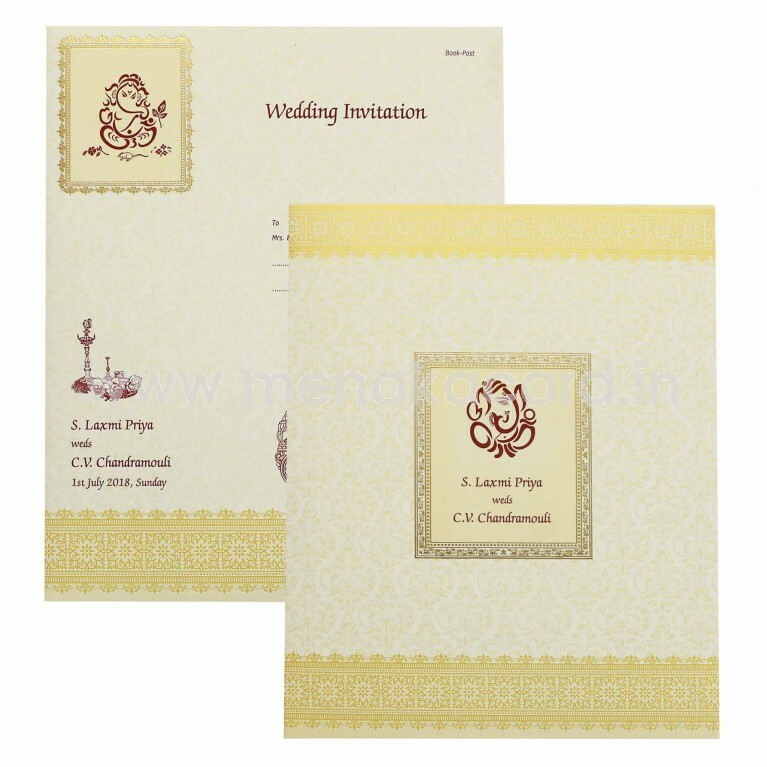 The entire card front and envelope have a beautiful peacock/floral yellow lancer print in the middle of which an elegant contemporary Ganesha printed in gold foil sit in a brown and gold foil frame. 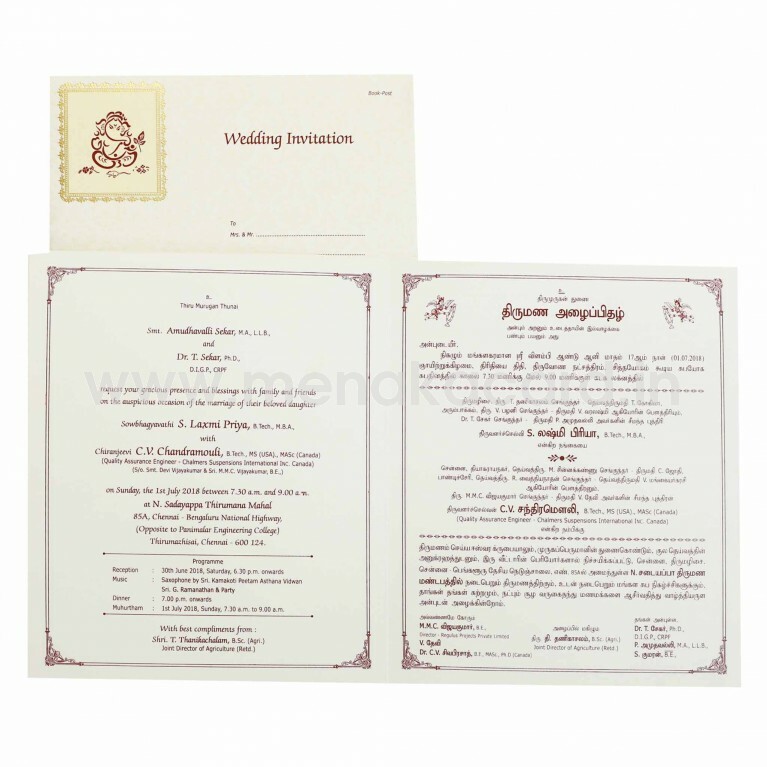 The insert sheet of the card is stuck to the centre and has the content printed in rich maroon ink. 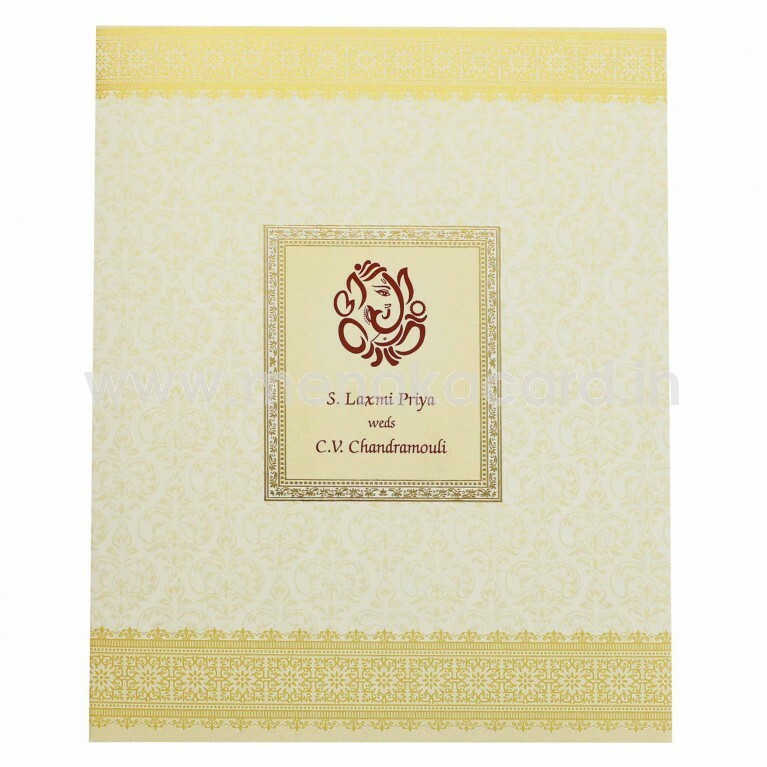 The envelope of the card mirrors the front of the card in lancer prints and borders down to the colour of the text. 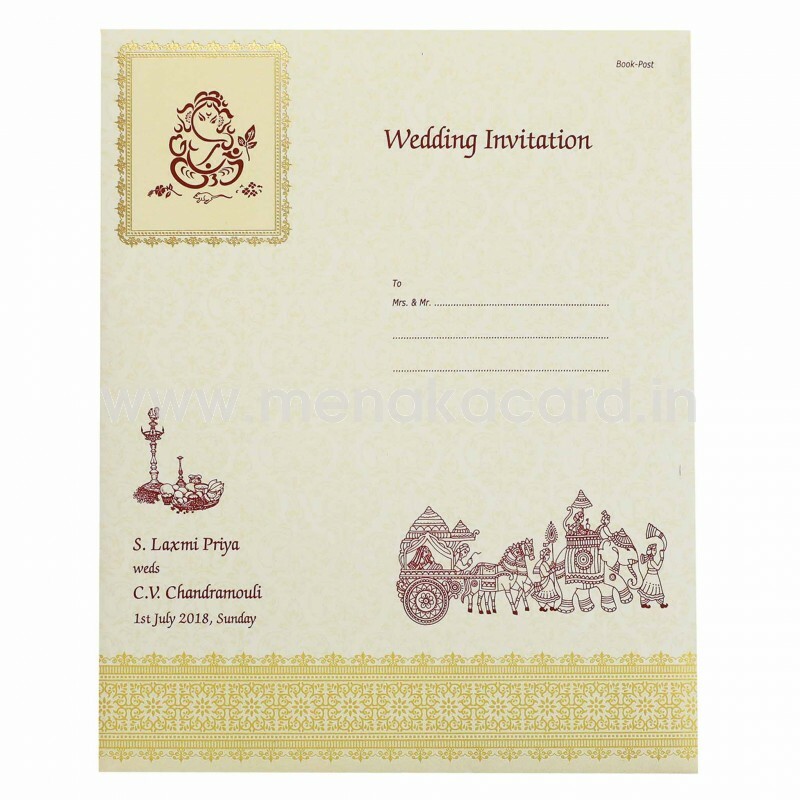 This is specially made for Hindu weddings.